Irene Pritzker became a founding member and President of the IDP Foundation, Inc. in 2008. It is her belief that education is the way to conquer the world’s greatest challenges, and that everyone should have equal access to education to provide hope, opportunity and economic impact on their homeland. The IDP Foundation is dedicated to encouraging and supporting the development of innovative and sustainable solutions to complex global issues. She believes a combination of smart philanthropy and investment solutions can be galvanized to make that future a reality. Exemplifying this philanthropic approach is the IDP Rising Schools Program, which was developed in Ghana as a model for improving educational infrastructure in existing low-fee private schools that serve the poor. This multi-faceted program is proving to be a viable and sustainable model that can be replicated around the world. After a successful pilot with 105 schools with an initial enrollment of 27,000 children, the program is scaling up to reach a total of 580 schools and impacting 150,000 children by July 2017. The program’s success is attributed to its emphasis on working within the Ghanaian government’s educational framework to educate all children, and through the development of strong partnerships in Ghana with local stakeholders and organizations like the UNDP SDG Philanthropy platform. Irene believes that through a collaborative spirit and information sharing, we can address education sustainably. 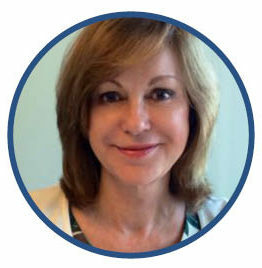 In addition to program development, Irene has worked consistently with her wealth advisors and managers to ensure that the IDP Foundation is mission-aligned in its investment strategy. The corpus of the IDP Foundation is currently 88% mission-aligned, with an additional portion earmarked for impact investing funds and seed capital for socially responsible companies that offer direct impact investment opportunities.